KTC represents an authentic evolution in the world of screw compressors. Nowadays, the concept of evolution is focusing on the company gradient of technological innovation, enhancing traditional products with customized solutions whose aim is to meet any customers’ needs. KTC has specialized in the world of screw compressors giving rise to a significant development in the design of this product, by engineering and manufacturing a whole range of solutions suitable for a great number of market requests. KTC makes its industrial compressors available to all people, as being innovation driven. COMPACK embodies the greatest KTC’s technological innovation. 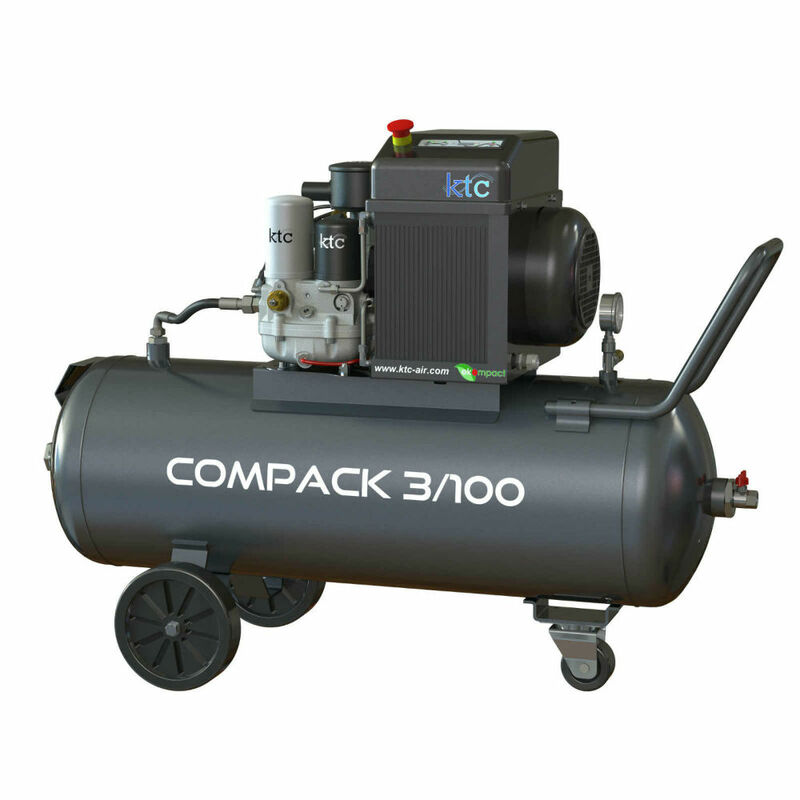 KTC’s Research and Development Dept., oriented towards the greatest user-friendliness of a screw compressor fulfils this approach with COMPACK, thanks to a great number of customized applications and solutions. The reason is that COMPACK has just one standard: excellence. COMPACK as a matter of fact is a compact and extremely performing integrated system: all the advantages of an industrial compressor in just a small amount of space. This is the ideal solution for all users that need a screw compressor meeting the requirements of reliability, efficiency, total accessibility. Energy consumption is optimised, if compared to a piston compressor with the same airflow rate. Moreover, running and maintenance costs are reduced. Minimum footprint. Thanks to the electronic control unit K-Tronic 5, it entwines the need for reliability, efficiency and the typical functionalities of the greatest screw compressors. Thanks to the exclusive Heating System, it is also designed to run continuously. COMPACK is made up of a state-of-the-art compressor air-end, the most compact in the field, integrating the main components of a screw compressor (air-end, separator tank, thermostatic and minimum pressure valves, intake valve) with ground-breaking choice of materials: a steel core in an aluminium case. Download the product brochure for the technical specifications.